Been teaching myself 3d modelling in Solidworks for the last few months for a bit of fun. 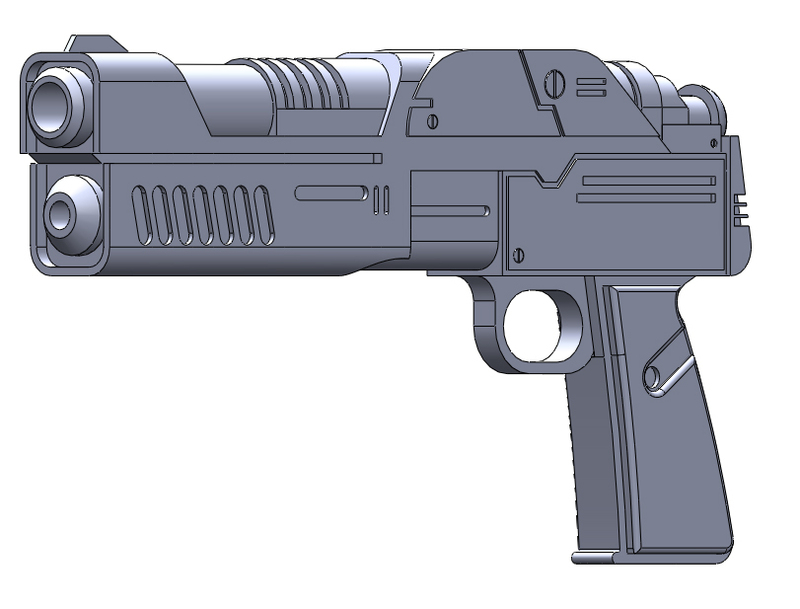 The first model I ever designed was Gillian's blaster, though in hindsight, the way i did it was really janky meaning it'd be nigh on impossible to 3D print properly. Ended up buying a 3D printer, so am going to remodel it in a way I can print. Modeling it to be 33cm long, 5cm shorter than in the instructions, but scales nicely with a replica Beretta I have. Modeled the lower barrel bit where what I assume is the laser sight is housed. Working on the upper barrel this evening. Hopefully should be able to print that in the next few days. That's awesome, thanks for sharing it. Hope to see the results soon, it is a lot of work. Had a play around with the upper part of the gun. Couple of tweaks and I'll be happy with it. Designed the upper part to break down into 3 pieces so i can easily print it. What's with the cord going to the bottom of the blaster on one of the pictures? It's the cable for the Xbox light-gun that I was using for the size comparison. OH. I thought that was actually the blaster you're trying to make. I guess I should pay more attention, next time. I like your work, so far, though.